Your friendly neighbourhood Spider-Man is back for another movie. 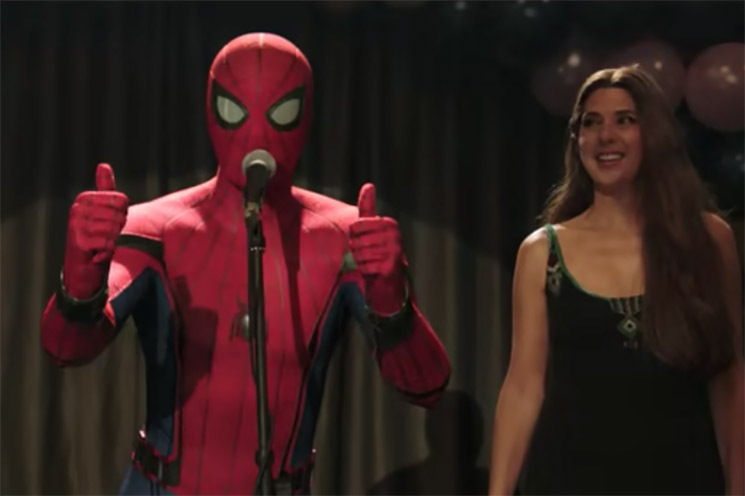 Spider-Man: Far from Home is out on July 5, and the first trailer is here. Tom Holland returns as Peter Parker, and the plot features him and his high-school buddies going on a nice, relaxing class trip to Europe — or at least that's the plan. Naturally, all hell breaks loose, and Jake Gyllenhaal enters the MCU as Mysterio. The trailer also features some vintage-style Spidey swinging through the streets of New York, plus co-stars Samuel L. Jackson, Marisa Tomei and Zendaya. The film is directed by Jon Watts, who also helmed 2017's Spider-Man: Homecoming. Watch the trailer for Spider-Man: Far from Home below.